Affordable older apartments are being converted into sleek, modern units to attract the growing ranks of the Chinese middle class and aspirational young workers. That leaves lower-paid workers worried about where they will live. Around lunchtime one summer day, children crowded together on old leather recliners at Jin’s place, watching videos on a phone. A few people played mahjong. Some others huddled at a plastic table, smoking and drinking tea. But the pool tables — once Jin’s big moneymaker — sat empty. Balls rested idle in old metal cookie tins. Older apartments are being converted into sleek, modern units to attract the growing ranks of the Chinese middle class and aspirational young workers. Average rents have jumped from $100 a month to $250 or more — a tough pill for factory workers who often make $600 a month assembling products, including iPhones. Many Foxconn workers are leaving. 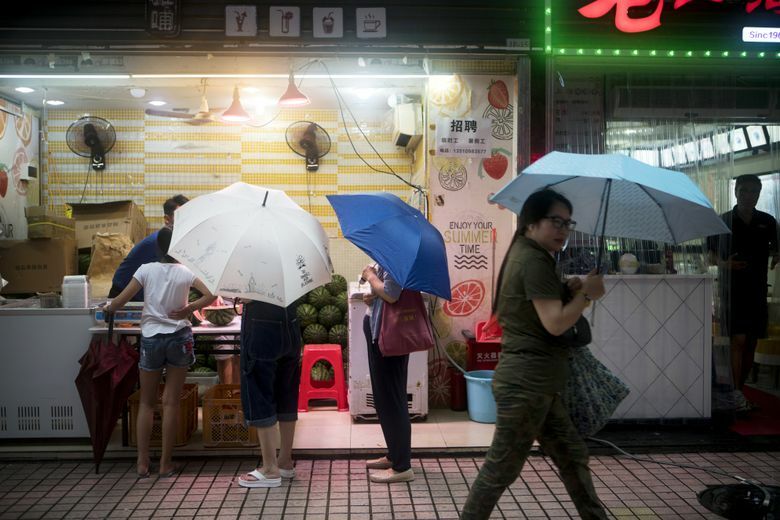 They are pushed farther from Shenzhen — just north of Hong Kong — or even abandoning their once-coveted jobs and moving back home. It’s a struggle of old versus new that echoes a broader shift across China. The irony is self-evident: The factory workers who were the backbone of China’s stunning industrial growth are now becoming victims of the country’s prosperity. The new residents, too, aren’t interested in a noodle restaurant, Zhao said. They have enough money to order delivery from some of the more fancier places nearby. Forty years ago, Shenzhen was a fishing village. Then, in 1979, it became China’s first “special economic zone,” with new rules to encourage free market-style business. Factories and workers flooded in. By the mid-1990s, the city had about 3 million residents. Today, that number is closer to 20 million. The city’s 7 million factory workers were largely relegated to “urban villages,” slum neighborhoods scrambled together in the 1990s. These places are now the prime target of developers looking to accommodate the higher-paid tech workers. “The city wants to attract high-class talent, not migrant workers,” said Christopher Balding, an economist who recently left Shenzhen. 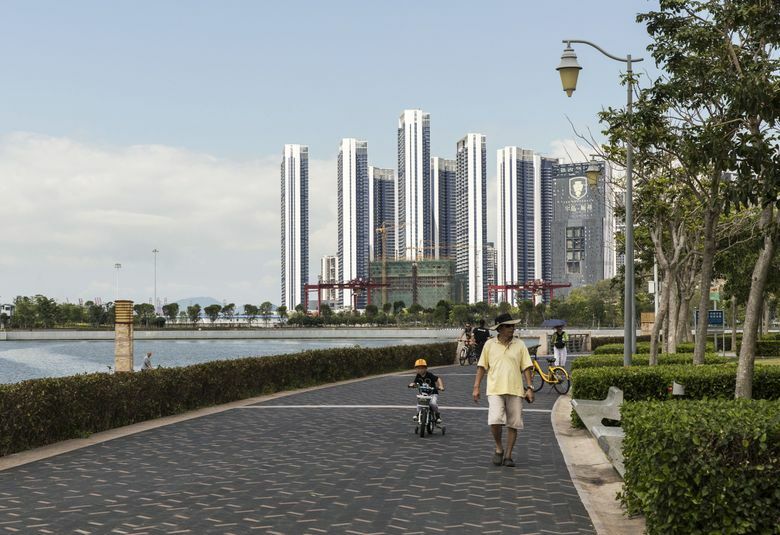 This past year, a real-estate company, Vanke, announced a sleek multimillion dollar redevelopment of urban villages near Foxconn, which in Shenzhen makes Apple products, including iPhones. Several workers say they were displaced, forced to move with just a month’s notice. “It’s happening all over,” said Geoffrey Crothall, communications director for China Labour Bulletin, a workers’ rights group. When workers move, “it adds to their costs and disrupts their families,” he said. Kids have to change schools, and parents must find new routes to work. Sometimes, families are forced to split up. But often, there’s no other option. Yuan Yanhong, who lives a few blocks from Jin’s pool hall, can’t afford a unit in one of the refurbished pink-and-yellow apartment buildings. Instead, she lives in a rundown two-story home, a concrete shell with corrugated metal roof. Her sparse main room is decorated with laminated signs with pictures of animals, along with the word for them in Chinese and English. Her husband was asleep upstairs. There is a room in the back for her parents, and her family of four can fit comfortably upstairs. Living here has been good, she said. There’s a senior activity center nearby for her parents. Her father gives people rides on his motorcycle to make a little extra money, and they can store the bike in their living room. She works six days a week, and she spends most of her free time with her daughter and 5-year-old son. The rumors about a renovation, though, have her on edge. She’s heard that developers plan to knock down her little village entirely to make room for a high-rise. In the lobby of one renovated building, 20-somethings clack away on their Mac laptops. The renovated apartments upstairs are much smaller than the old units used to be. Some are barely bigger than a dorm room, with a tiny kitchen and bathroom. She has to commute nearly two hours each day to college in Hong Kong, where she studies marketing. She and her husband are so new to Shenzhen that they still haven’t figured out their favorite restaurants. They have not been to Zhao’s noodle shop or Jin’s pool hall. But maybe they will check it out some time.